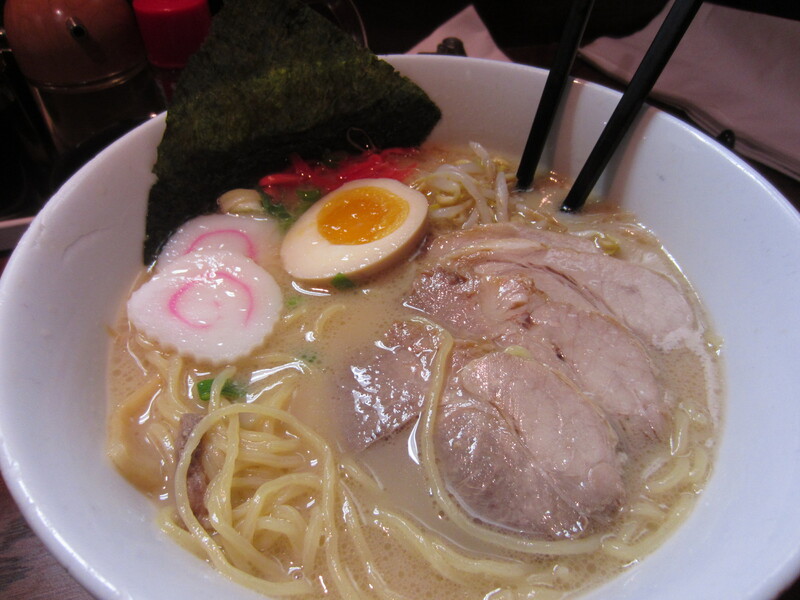 Sean told me about a place in Arcadia that his boss Angela recommended, Ramen Yukinoya. Somehow I’ve never heard of it even after having done Google searches for ramen in the area. I don’t think this place has been around for that long. It’s too bad that Pasadena, where I work, doesn’t have an actual ramen house, so I was glad to know that there is a ramen house 10 minutes away! Last night after work, Sean and I went to Ramen Yukinoya. We lucked out when we arrived, as it was packed and there were only two seats left at the bar that we managed to get. Then a swarm of people arrived and had to wait in line outside. They had a small ramen menu which was nice. 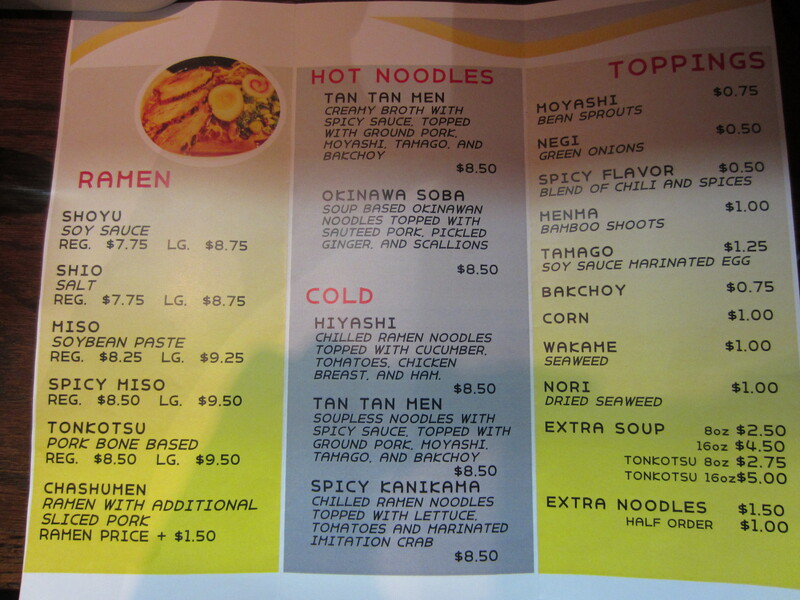 I always preferred places that focused on basic ramen flavors, rather than a large menu with everything tasting mediocre. We started with some hot tea, and I ordered the Tonkotsu and Sean ordered the Tonkotsu Chasumen with corn. 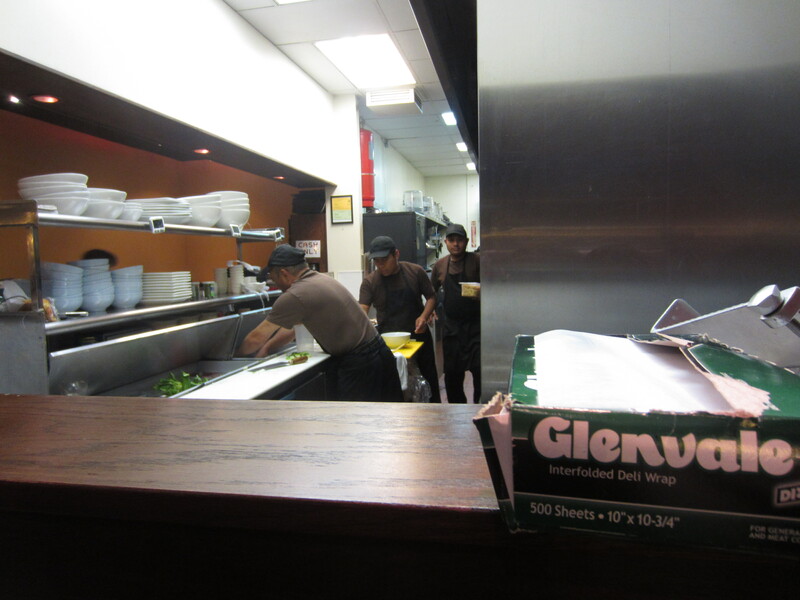 I noticed in the kitchen that the chefs were non-Asian so I was a little concerned. But a few minutes later an asian chef walked out. I couldn’t tell if he was Japanese or something else though. Of course, I didn’t pay enough attention to what was in my ramen so I ended up with some menma. But they did mess up our orders a bit, the chasumen ended up in my bowl instead. Their ramen was quite good. I can’t say it was amazing, but I wouldn’ t mind eating here again. The noodles were the first that stood out to me, they were firm, chewy and tasted great! The broth was on the lighter consistency but it was very flavorful and wasn’t too oily. The chashu was okay, it was tender but didn’t have a lot of flavor, but the soft boiled egg was very good! Sean thought the ramen was good too, but not amazing. At least we found a convenient place to eat ramen! 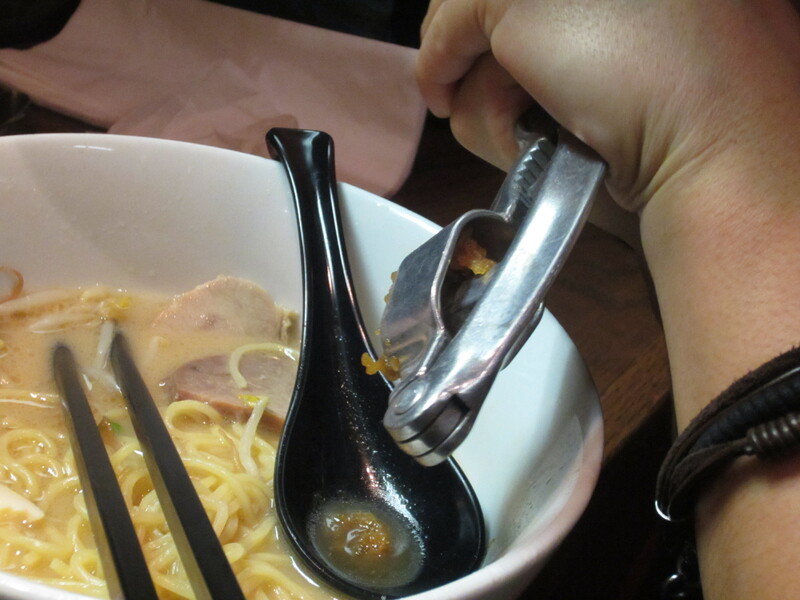 Ramen Yukinoya was also known for their marinated garlic that you press yourself and tasted great! 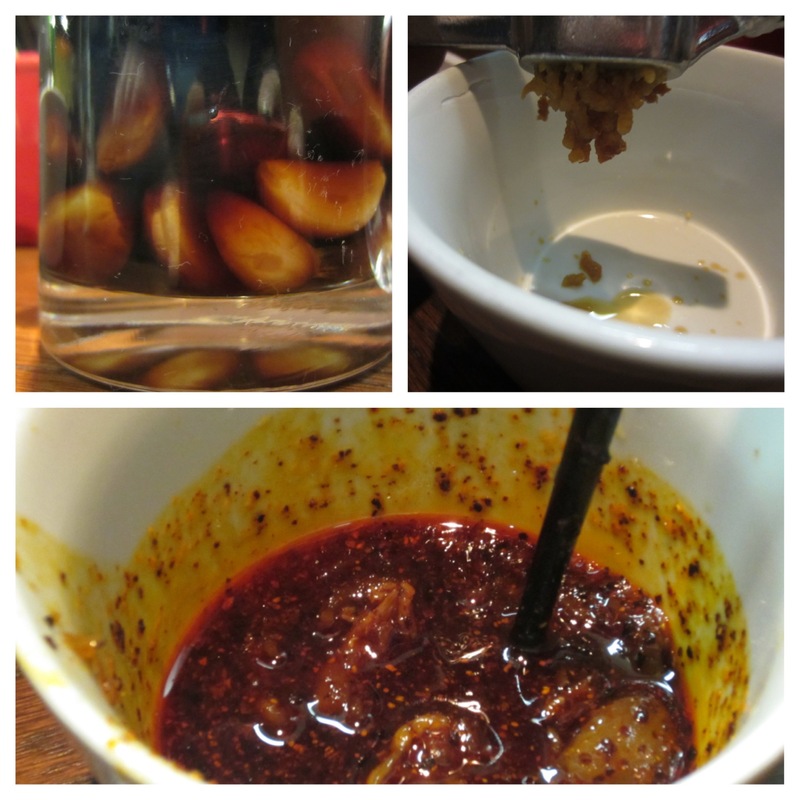 … to make our own spicy ramen! After dinner, we were craving dessert and decided to explore the area. Sean and I have been to a great dumpling place called Din Tai Fung just up the street and is definitely worth checking out. 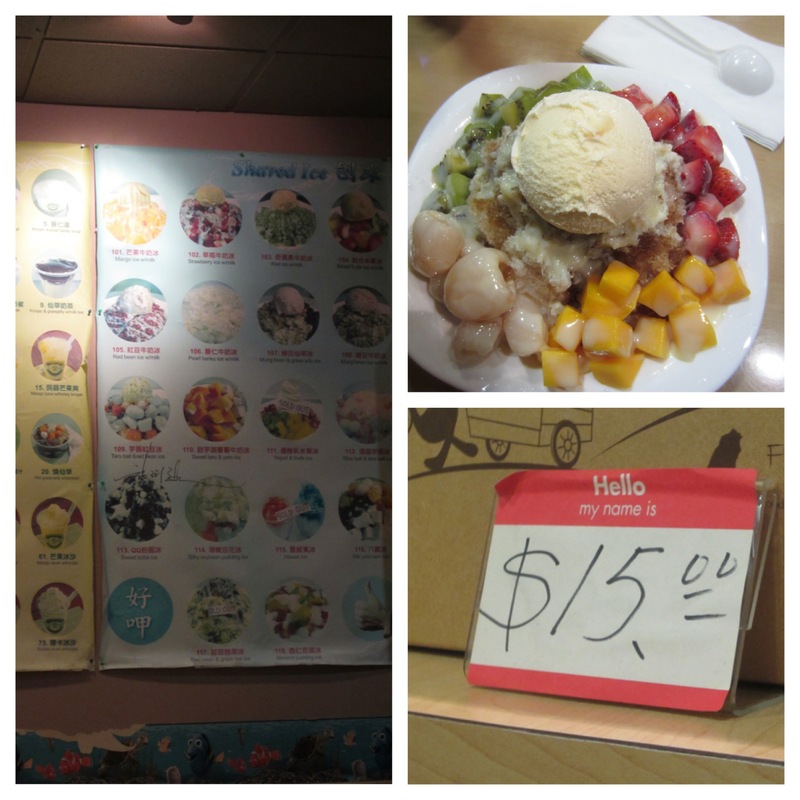 We found a dessert place a few blocks away called Bin Bin Konjac, which served shaved ice dishes. We ordered one with strawberries, mangos, lychee, and kiwi, drizzled with maple syrup and topped with ice cream, and was big enough for two to share. It was yummy. 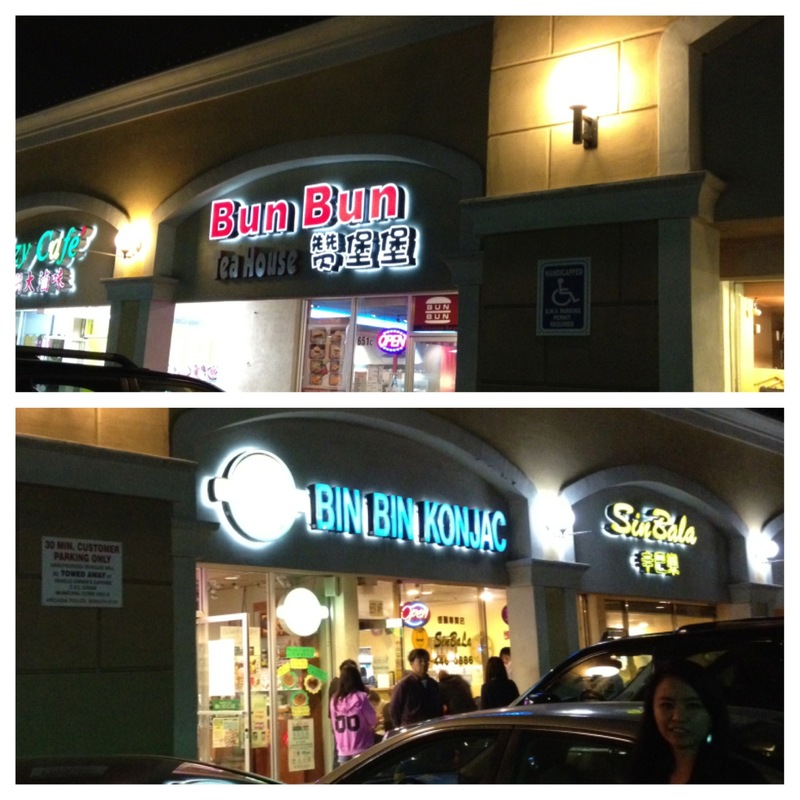 We noticed that Bin Bin was next to Bun Bun, and couldn’t help but go there despite how stuffed we were. 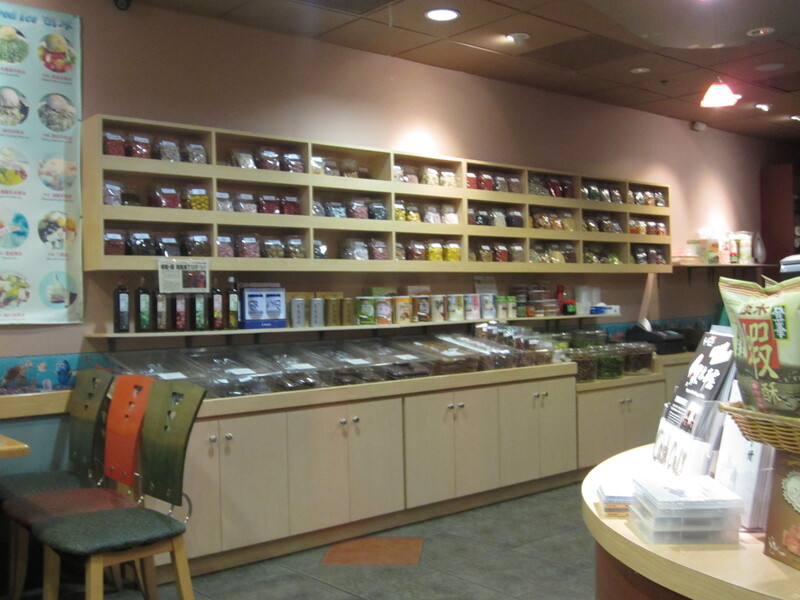 Bun Bun Teahouse served all kinds of milk teas and boba drinks, as well as burgers. 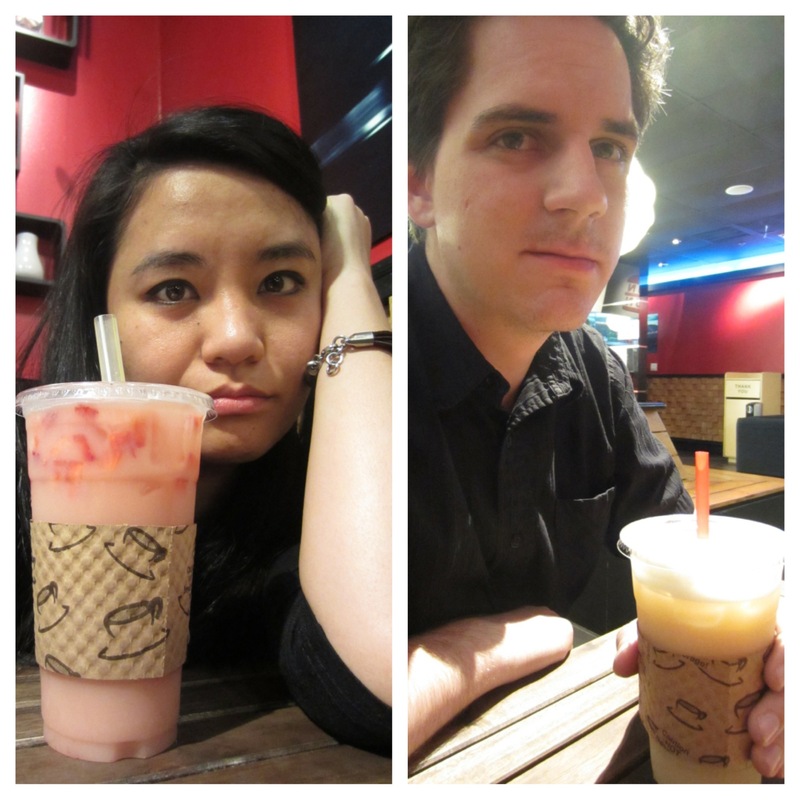 I ordered a hot Strawberry Milk Tea and Sean ordered a hot Honey Green Milk Tea. 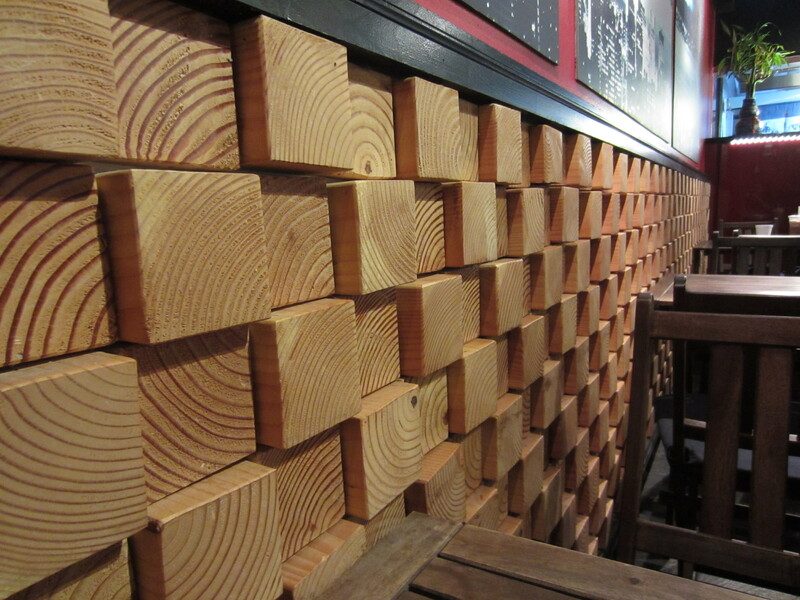 as if one of them will open a secret passage. Unfortunately, they got our orders wrong. They gave us both cold versions of our drinks. It was okay though, they were both very good. Sean and I had a really nice time grubbing in Arcadia, and everything was close enough to get to. Just keep in mind, if you go to any of these three places, Ramen Yukinoya, Bin Bin and Bun Bun… haha… They are CASH ONLY. 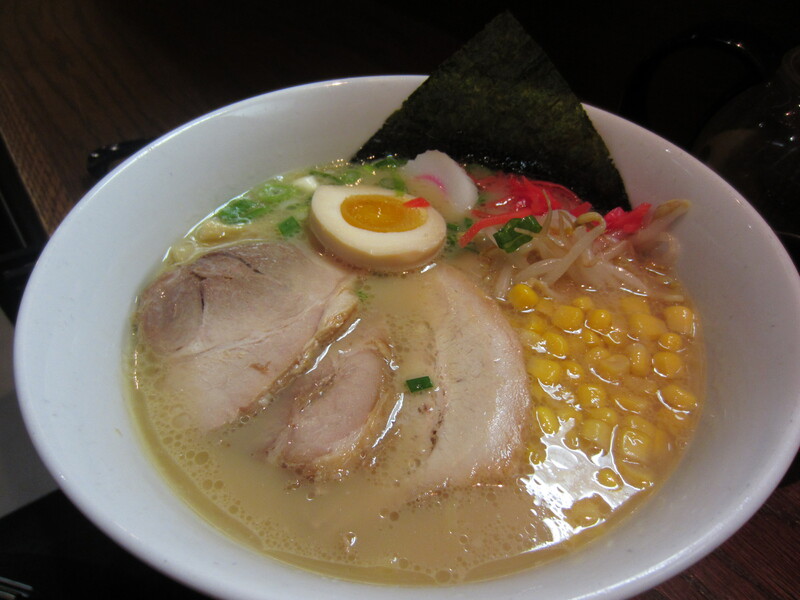 Ramen Yukinoya is in a complex with its own lot, and is right next to a Baskin Robbins. 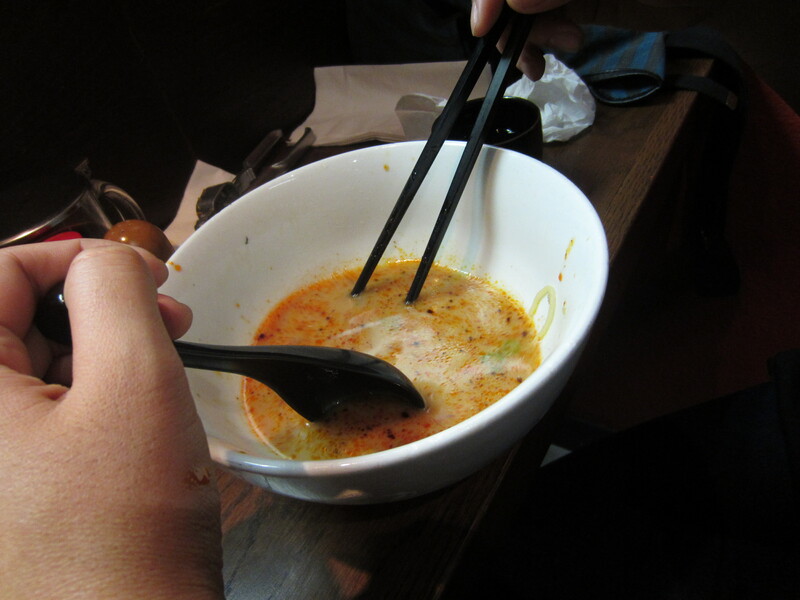 This entry was posted in Arcadia, California, Food, Foodie, Japanese, Ramen, Ramen Run, Restaurant Review and tagged Arcadia, Boiled egg, Din Tai Fung, Japanese cuisine, noodles, Ramen, Ramen Yukinoya, Soy sauce, Tea, tonkotsu. Bookmark the permalink.